Waingels Gardens Day Nursery Child Care Prices. To be considered for a place at Waingels Gardens Day Nursery, please complete the basic ENROLMENT FORM which serves merely to express your interest. There is no charge for being on the waiting list and you will be contacted as soon as we are able to confirm a place for your child. We do intend to fill places from the waiting list but we may give priority to parents requesting: an immediate start, as we have to ensure places are filled as soon as possible; to families with more than one child wishing to attend the nursery, and to parents requesting full time places. 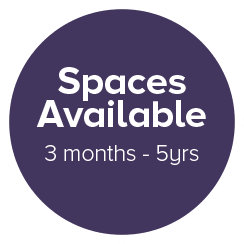 We will be in contact with you once we are able to confirm a place for your child and we will send you a PLACE OFFER letter with a request for £50.00 registration fee and the deposit. The deposit will be £100.00 per day of attendance to be paid, for example if your child will be attending 3 days per week your deposit will be £300.00 + the £50.00 registration fee. (please give one months notice in writing of your child’s leaving date). The registration fee of £50.00 is non-refundable. Should your child not start the Nursery, both the registration fee and deposit are non-refundable. We will also require a detailed registration and agreement form to be completed. Once we receive these 2 forms, copy of your child’s birth certificate and the deposit we will secure a place for your child.